India continued their strong run in the International Shooting Sport Federation’s World Cup stage in Mexico after they won their second gold in the 10m Air Pistol to stay on table of the rankings. The gold took their overall medal tally to five which includes 2 golds and five bronze. Manu Bhaker shot a fine 237.5 to pip Alejandra Zavala to the first spot in the 10m event. 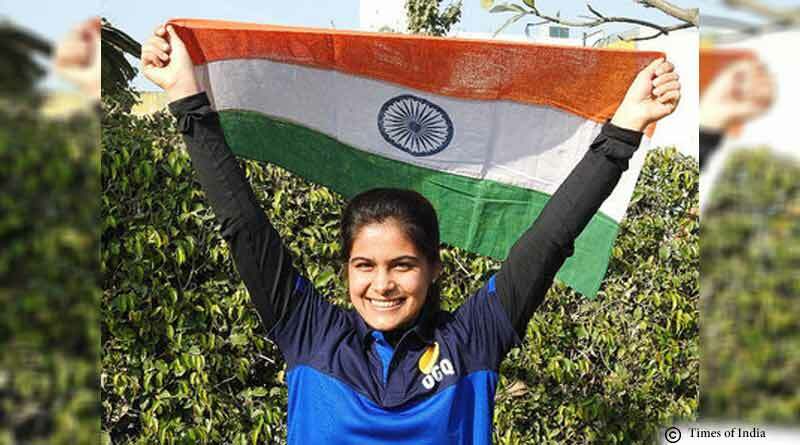 16 year old Manu Bhaker from Haryana who recently earned a place for the Buenos Aires 2018 Youth Olympic Games continued her fine run as she won gold in the Women’s 10m Air Pistol. Manu beat Alejandra Zavala on her own home-ground after putting in a world-class display. She trumped the two-time World Cup Finals winner with a superlative 10.8 in the last shot. She ended up with a total score of 237.5 after 24 rounds to just edge Zavala who managed 237.1. Celine Goberville of France won the bronze with a score of 217.0 while it was heartbreak for India’s Yashaswini Singh Deswa who finished fourth with 196.1. The men’s contingent have had an equally good start with Shahzar Rizvi who is shooting in his first ISSF World Cup clinched gold with a world record score in the men’s 10m air pistol in Guadalajara. He defeated Rio Olympics gold medallist Christian Reitz by scoring 242.3 and also broke Japanese legend Tomoyuki Matsuda’s record of 241.8 in the process. Raninder Singh, President, National Rifle Association of India, said, “This is a dream start. The young guns and future of Indian shooting are firing on all cylinders and let us only hope that these are signs of even better things to come in the near future.